Fig. 3. 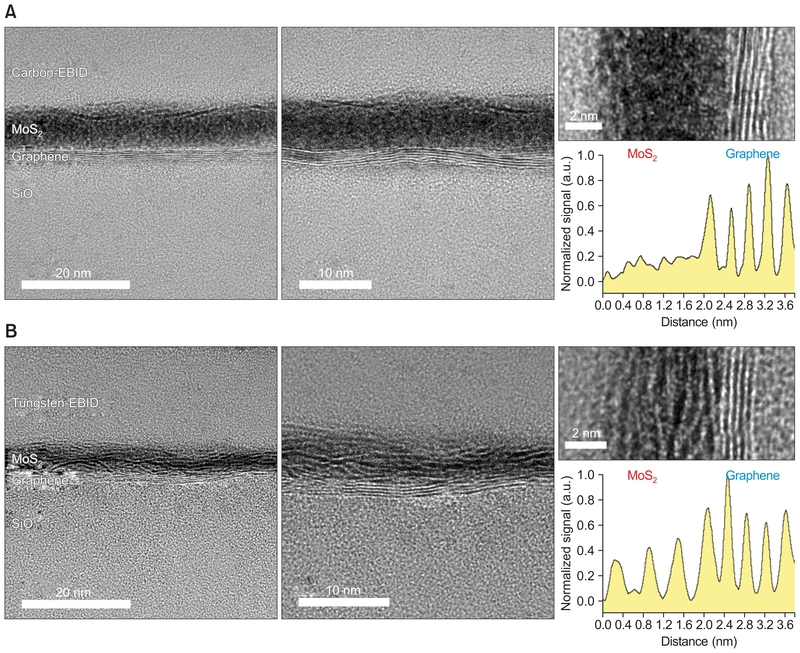 The cross-sectional HR TEM image and line profile of MoS2-graphene heterostructure in TEM specimen fabricated using (A) carbon-EBID and (B) tungsten-EBID as protective layer.